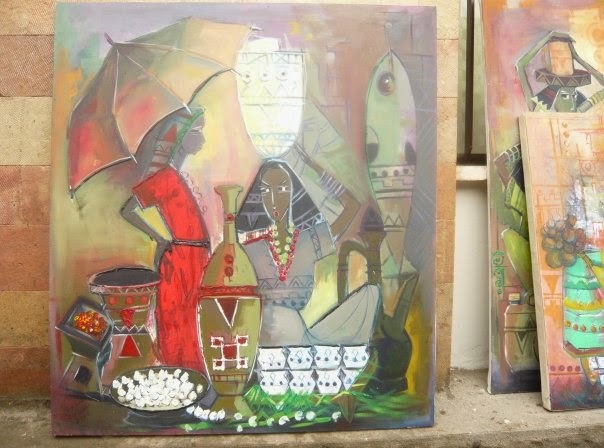 This week radio show presents interview with artist Gethaun Negusse on his artistic work. Instructor Gethaun explains the innovative idea of performance art and his talent on color works. Due to the poor phone connection, the quality of the interview was not as we anticipated. We apologize listeners for its poor quality. On the second part of the interview we present discussion on current matter with our regular radio host Dr. Belai Habte-Jesus. Dr Belai explains the origin of Halloween festival , the recent visit of Ban ki-Moon in The capital of Ethiopia, the upcoming elections and the need of developing multicultural system in our society and more … click the link below to, listen the full program.